A sump pump can be a great addition to your new home, but the property you’re interested in may already come with one. Although we’ve all heard the negatives of having a sump pump, depending on the type of home you have, they’re an excellent tool to have in your basement in case of flooding. Below, we’ll go over the top 10 things you need to know when buying a home with a sump pump. A sump pump is usually installed in the basement of your home and used to “pump” water out of your home and into another area, such as a storm drain. Often, they’re installed under the floor of your basement and are beneficial to those who live in an area with frequent flooding or in rainy areas. However, you should look further into what kind of sump pump is installed in your new home and what kind of rainfall your town or city gets before deciding on whether or not you “need” a basement sump pump. When buying a home with a sump pump, you should be sure to check for potential water damage from before the installation of the sump pump. 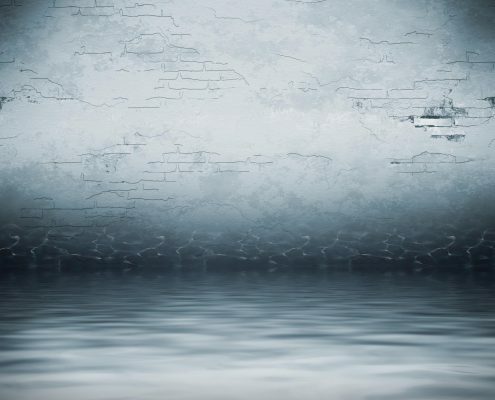 Usually, this is the reason for having a sump pump installed in the first place, but it’s important to note what water damage you see since it will need repairing. If there’s extreme flooding, a sump pump may not be able to prevent all the water from flooding, so it’s crucial you take proper precautions once moved in. If this is making your head hurt a bit, worry not! Our real estate associates throughout the country can make the home-buying process a lot less stressful. To sign up (it’s free!) click here and we’ll get going on making the process as easy as possible. And for an added bonus, it will save you money too. Flooding is a nasty business and can do severe structural damage to your home. 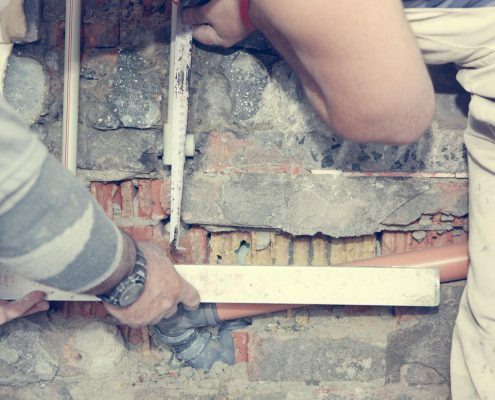 Although sump pumps can stop most of the water from entering your home and causing damage, holes in the structure of your home can cause leaks and lasting damage. So, even if you have a sump pump installed in your new place, it’s important to keep an eye out for this kind of damage. 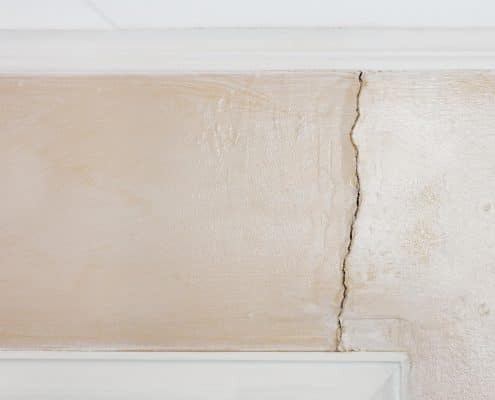 For deals on services that can inspect the home and look for these kinds of problems, go to our local deals page and enter your location. Many service businesses have signed up to offer you, the hero, discounts in any way, so take advantage of it! Just because a sump pump is already in your new home, doesn’t necessarily mean it works. Unless you tested the sump pump before you signed your buyer’s agreement, which we strongly suggest you to do, it’s essential to examine the pump in the home you’re buying. You may notice certain parts of the pump not working as they should, in which you should get it replaced and/or repaired. Although some people say that sump pumps aren’t ideal for certain types of homes, they’re a fantastic precautionary tool to have. Trust us when we say, once the next storm hits, you’re going to wish you had a sump pump installed in your basement. No one enjoys waking up to a flooded basement that comes with hundreds of dollars of repairs. Investing in a sump pump can save you from a fortune of damages. Having a home that comes with a sump pump is even better. Buying one and installing it yourself can offset you hundreds of dollars. During a storm, severe winds and lightning can knock out your power lines. To avoid your sump pump from shutting down, you should invest in a battery backup system. That way, if your electricity goes, your battery backup can power your sump pump and prevent flooding. Although battery backups for your sump pump can go for a few hundred dollars, they’re a worthy investment to make. Keep your sump pump functioning properly by periodically testing it to ensure all its parts are still working. You don’t need a storm to check it, all you need is a five-gallon bucket full of water. Slowly pour the water into your sump pump until it activates and drains the water. Take note of how it operates to make sure everything is working right. Your sump pump should turn off promptly once the water falls below the shutoff level. Just like water lines, sump pump lines can freeze if temperatures drop too much. However, this usually only happens if your sump pump lines aren’t buried at the right depth. Before moving in, we suggest contacting the property owner and making sure the sump pump was installed correctly to avoid lines freezing during the winter. Believe it or not, there are two main types of sump pumps: pedestal and submersible. Submersible sump pumps are used when they need to be installed near living areas and are usually much quieter than their counterpart. However, they are more expensive and don’t have a long lifespan. On the other hand, pedestal sump pumps are cheaper to buy but are much noisier. Submersible pumps are usually installed in the basement of your home and take longer to operate than pedestal sump pumps. Just like any device you have in your home, you need to maintain it properly to make it last longer. 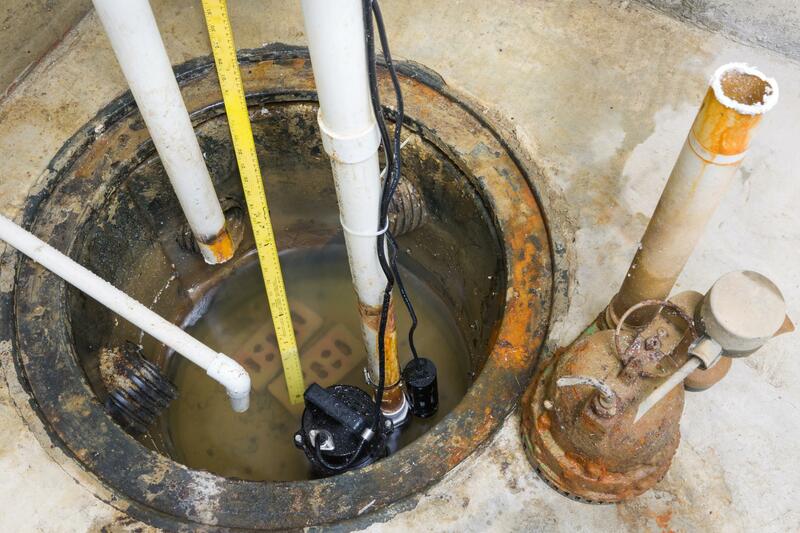 Submersible sump pumps can last for up to 15 years as long as they’re maintained properly. 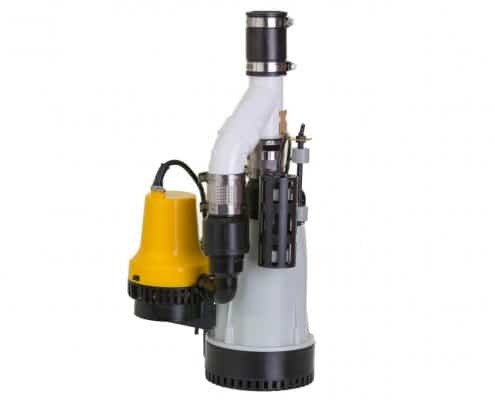 Pedestal sump pumps can last even longer, up to 25 years, if given regular maintenance. Regularly maintaining your sump pump includes cleaning it, checking the valve, cleaning the filter, and testing it at least once a year. Also, if you suspect you need new parts, you should have them repaired and/or replaced to ensure your sump pump works appropriately in case of an emergency. If you’re buying a home with a sump pump, you have nothing to fear. They’re handy tools when there’s a flood and only serve as a benefit to your home. Hopefully, you know know what to expect when you buy a house with a sump pump and can better prepare for your future with your new home.